Add a little extra to your order with our high quality accompaniments. 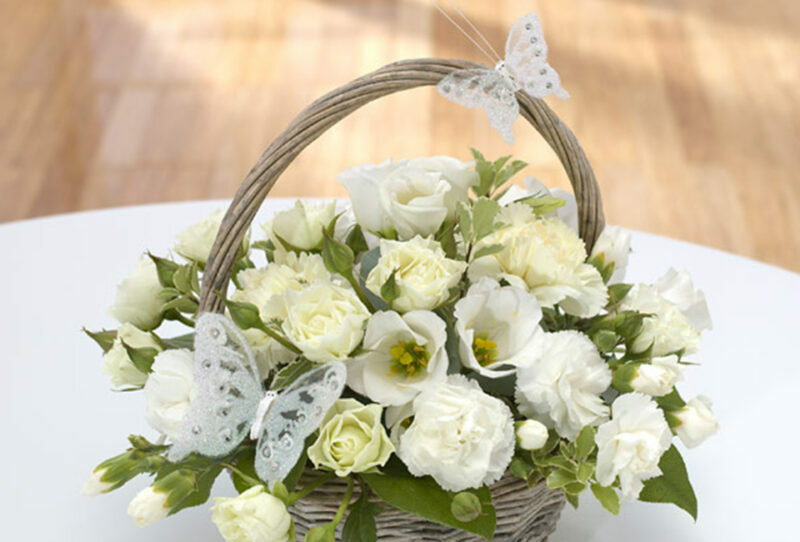 A basket arrangement that even the butterflies can’t resist! 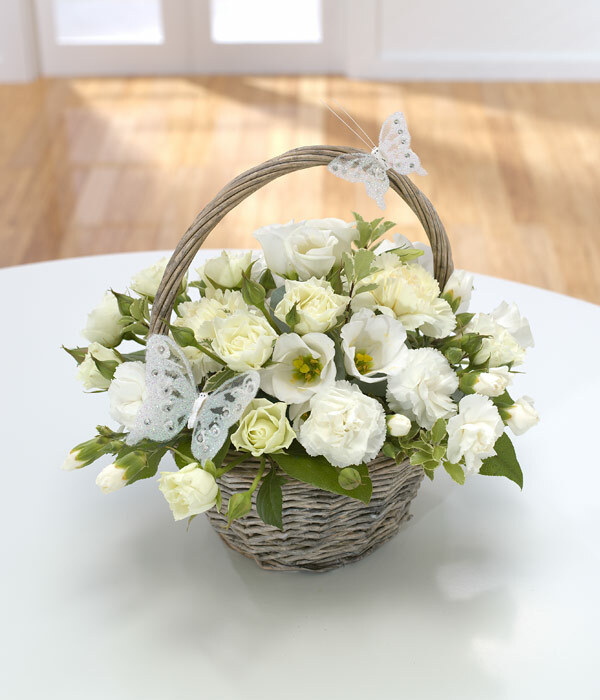 All the whites: Roses, Carnations and Lisianthus. Flower basket included. Copyright © 2019 · All Rights Reserved · Peaches & Herbs Limited.